The shooting at the school in Broward County blew the lid off the technocratic tyranny that has been implemented in our country. People have jumped on the elements of the Sheriff’s Department that effectively neutered the law enforcement. Community Oriented Policing (COPS), the Promise Program and federal incentives money provided for economic development and social programs caused a fundamental shift of focus of the Sheriff’s Department to be concerned with the reduction of crime statistics rather than on policing to make the county safe. Low crime = successful community programs = more federal money. Since the Sheriff’s Office controls the statistics, lack of law enforcement reduces the statistics and they are rewarded. “crime science is a radical departure from old ways of thinking about the problem of crime in society“. 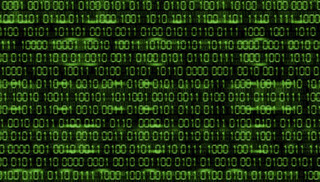 The idea embedded in that concept is that computer systems can be used to locate and target high crime areas and using methods of data collection and analysis to not only solve crime but to predict where criminal activity will be occurring. If you scroll down on that page, you’ll see report titles and webpages including the links. The reports that go to the US Department of Justice have been scrubbed from the internet since I first looked at them. But it doesn’t matter. Look to your right and you will see them. 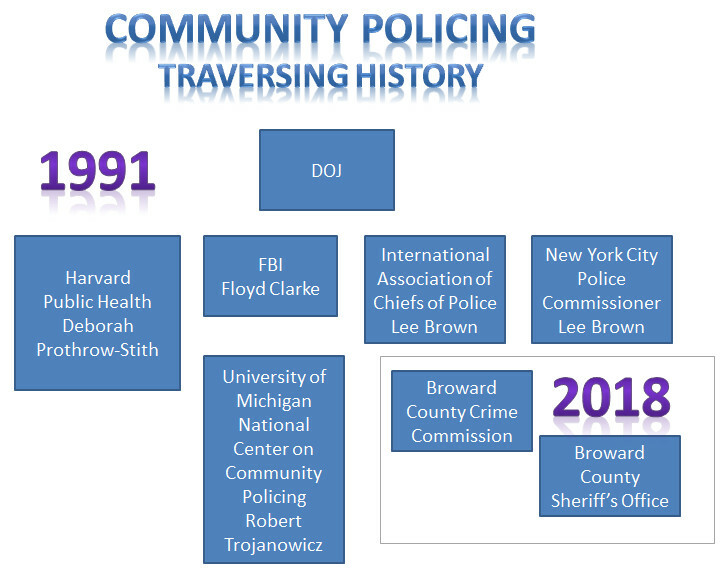 The Broward County Crime Commission was established in 1976 following the examples of Chicago, New Jersey and Kansas City. The International Association of Chiefs of Police was established in Chicago in 1893 to “serve as a means to apprehend and return criminals who had fled across law enforcement jurisdictions. It’s not clear if the original organization was a Port Authority but that would be a good guess. It may be that the FBI grew out of that organization. That’s not clear but they’ve had an association with the FBI since the FBI was formed – assisting with policy and technologies for policing. In 1991, the Congress was focused on crime. The Brady Bill had been passed and legislation passed for mandatory death sentences in certain cases. 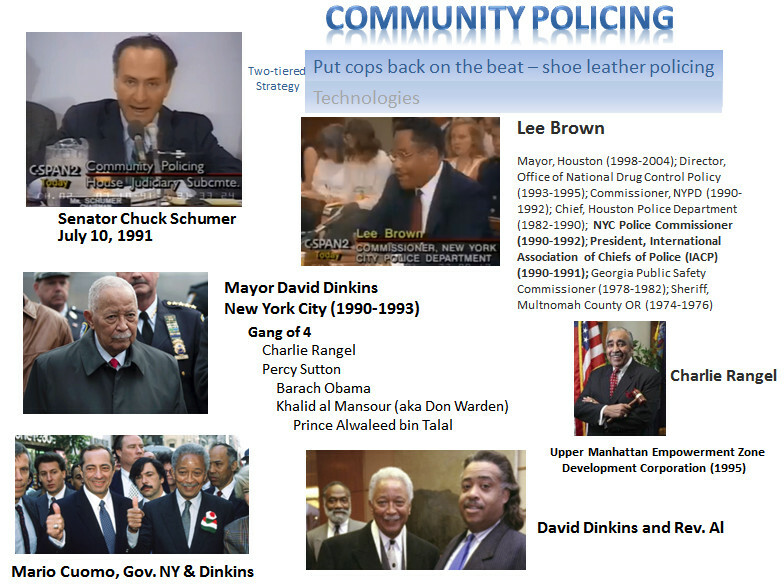 On July 10, 1991, Senator Chuck Schumer, Chairman of the Crime & Criminal Justice Subcommittee of the Judiciary Committee held a hearing on Community Policing. Lee Brown, President of the International Association of the Chiefs of Police and New York City Police Commissioner was invited to testify on Community Policing. The following is a brief clip. The full hearing can be viewed on C-Span HERE. On October 16, 1991, the FBI Academy held an event on Community Policing. The following video clip includes the introduction of the Deputy Director of the FBI, an excerpt of the presentation by Deborah Prothrow-Stith, MD, Harvard University, Public Health, and Robert Trojanowicz, author of the book: Community Policing, Criminal Justice and Policy at the Harvard, Kennedy School of Government. The full video can be viewed HERE. their vision on this effort. 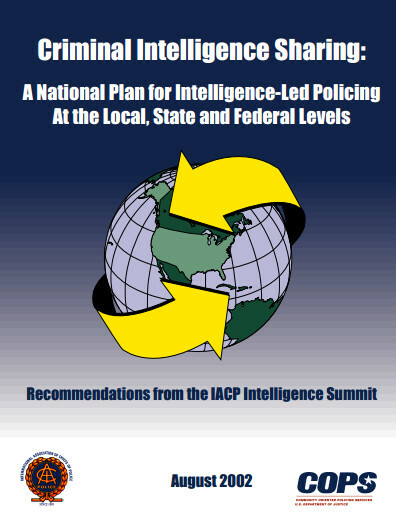 The Diagram is on Page 10 of the Criminal Intelligence Sharing report. And it is criminal. In 1990, George H.W. Bush and Samuel Skinner announced a new transportation system. The transportation system was to be fully automated and would include all modes of transportation – urban and rural, interstates, major arterials, trains, subways, bicycles, etc. Recall up above, the COPS propaganda was 2-tiered: community and technologies. It was the 1990 transportation plan that started the snowball rolling downhill that has become the avalanche that is burying us today. Is there any question Why? They need foreign IT people to maintain the surveillance and data collection systems that target the American people. The Lee Brown testimony is astounding! It reveals the overthrow of traditional policing and Brown is unembarrassed to state the fact that it is a fundamental change that is meant to leave behind the tried and true methods of policing for a radical change across the board that is unprecedented. Thank you for exposing what has been and is currently taking place behind the scenes out of sight to 99% of the people with this business of Community Policing. 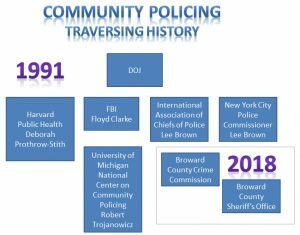 Yes, this school shooting in Broward County, Florida is a fine example of why Community Oriented Policing is all wrong. This has been an insidious overthrow of policing in America as part of the complete take down of the real America and its culture. Thanks for laying this out in a well documented way that cannot be ignored. It does indeed indicate an overthrow of law enforcement. I do believe that the “philosophy” is actually a management program – Total Quality Management in the corporate world; Six Sigma in the government and military world. It’s a logical hand grenade into a bureaucratic system. It’s designed to destroy the organization. It is marketed as being innovative, modern and a new way of doing business. It’s all BS. They knew that about 97% of the population would go along with whatever they were told to do even when they know that it’s wrong. There were experiments done in the 1960’s I believe. The professor who did the experiment was called Milgram. When I went to school for programming, one of my instructors was also going to school to become a psychologist. He did a little test of me one day to see if I would question what he was saying. I did question it. That was apparently what he was looking for – to see if I would challenge what he said. After the fact, he told me that’s what he was doing. I should have said – my guess is about 97% because I don’t know the actual percentage. I do know that it’s a very small percentage of people who will challenge authority and/or will stand on principle. That article is INCREDIBLE! Thank you so much for bringing it to my attention. It needs to be front page news. The fact that James Carville is involved in it says that it is very much a political tool as much as anything despite the fact that he’s married to Mary Matalin. That doesn’t mean a thing in this context. The Palantir program is just one small piece of the STASI system that has been built to control people. I’ve been researching and writing for over 15 years to expose what they’ve done to our government. They didn’t just change the systems, they changed the nature and form of our government – and that new nature and form is as un-American as it gets. On this webpage I have a picture IBM’s conception of the Smart City. All the systems are integrated for a complete control grid – the panopticon. (Note: I added music just to have a little fun so I don’t lose my mind with grief and worry over what they’ve done to our government). The terrorist attacks of September 11, 2001 revealed the life-and-death importance of enhancing U.S. intelligence operations. 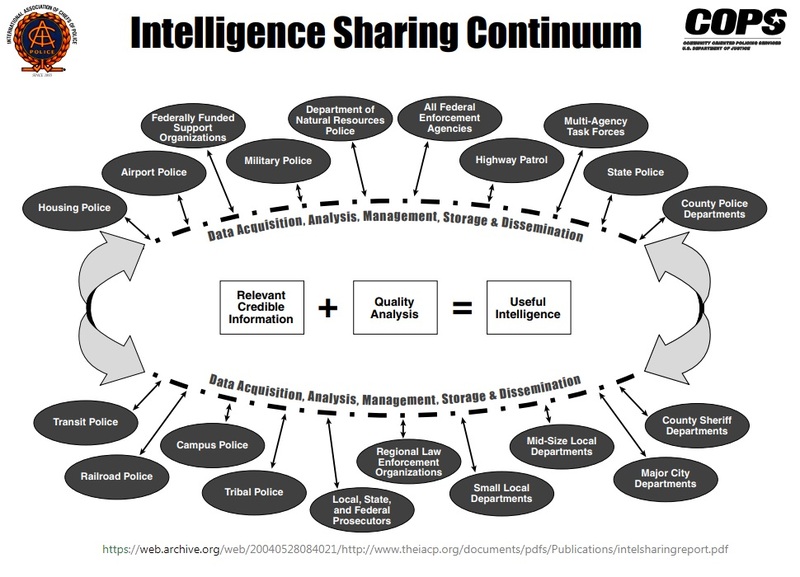 Since that day, a tremendous amount of attention has been focused on the need for constructive changes in law enforcement intelligence. 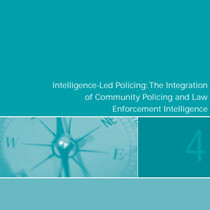 Intelligence-led policing is a collaborative enterprise based on improved intelligence operations and community-oriented policing and problem solving, which the field has considered beneficial for many years.